What It’s About: Marshal Will Kane (Gary Cooper) finds out that a man he sent to prison has sworn revenge and is returning to town on the noon train on the same day he is getting married and hanging up his badge. Will the town he’s protected for years come to his aid? Why Watch it Today? : Today in 1947, the Hollywood Ten were cited for Contempt of Congress for refusing to testify to the House Un-American Activities Committee, which was investigating allegations that Hollywood Communists were filling movies with anti-American propaganda. 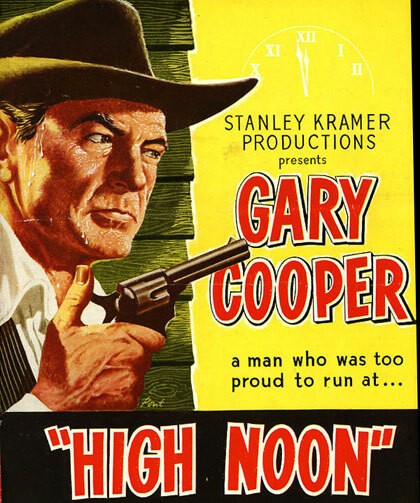 High Noon is often seen as an allegory for the blacklisting that accompanied HUAC’s investigations and destroyed many Hollywood careers, particularly those working behind the scenes. Screenwriter Carl Foreman was one victim of the blacklist. 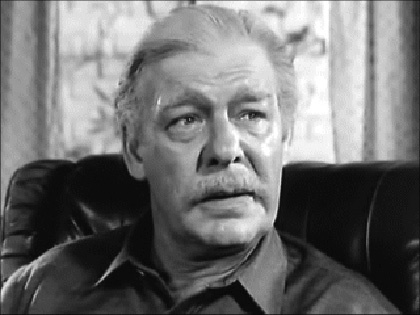 This entry was posted in Adaptation, Based on a Magazine Article, Black and White, Drama, Independent, Movie of the Day, Period Film, Revisionist Western, Western and tagged alcoholic, before they were famous, Gary Cooper, Grace Kelly, Harry Morgan, Jack Elam, Katy Jurado, Lee Van Cleef, Lloyd Bridges, Lon Chaney Jr., Quaker, Stanley Kramer, Thomas Mitchell, U.S. Marshall, United Artists.